Congratulations – you’ve decided you’re ready to bring your services, products and opinions to the world-wide-web! So…Now what? Incorporate these 4 tips to ensure your content and mission on your new website are found by your next ideal client or target consumer. It is important to have a section dedicated to YOU. You are the face of your brand, the voice of your product, the entrepreneur who does it all. YOU are the reason people want to partner with you, purchase your products and are the best person for the job. This section provides a space for you to invite them in and share your story. Who are you? What are your passions? How did you come to find yourself in this line of work? Brag a bit. List any certifications or degrees you have to gain further trust from your audience. 2. A Way for New Leads to Contact You. List your email address and phone number on the footer of your website. Create a basic Contact Form on your Contact page where potential customers can enter their name, email and a brief message or question that will be send directly to your email. 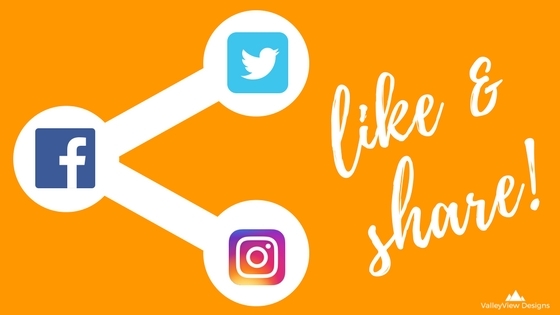 Show off your social media accounts and invite people to engage with you via Twitter, Facebook or Instagram. You have 3 new notifications. 3. Sharing on Social Media. We live in a digital world where everything is accessible online and all information can be shared on a wide variety of platforms. Incorporating social media buttons on your website allows for you to grow and strengthen your own online community and build traffic to your site. Have a new product on your website? Encourage your customers to share a picture or hashtag showcasing how they use it. Have a free tool for your followers to use? Have them tweet about it before downloading the content. Be sure to add keywords that are relevant to your industry or topics your ideal customers are searching for. You’re ready to click, Publish, and let the new leads find their way to you! What information or sections do you include on your website that are essential to your business?